What makes the biggest impact on retail business model innovation during the next decade? He just grabbed the stuff from the shelf and ran out of the store! The security guard did not chase after him. In 1999, IBM released an advert that copied legendary Matrix movie. In this ad, a young man wearing a leather jacket enters a store and starts tucking stuff under his sleeve. He receives suspicious looks from fellow shoppers, but a smiling clerk hands him the receipt. That was IBM’s view of the future store. Early smart shop concepts like the one that IBM showcased, relied on RFID technology. Each item at the shop was equipped with a tiny chip to track its origins and movement. It took another decade for wider acceptance of this technology in the retail sector. In 2009 the cost of RFID technology fell below the threshold of 10 cents per chip and enabled using it en masse. Most of us have had an embarrassing encounter with RFID chips. They tend to frighten us at the exit gates of the shops with loud and mad beeping. So instead of helping us like in the IBM’s Matrix lookalike ad, the chips just stop us at the gates to suspect us in shoplifting. What an inconvenient shopping experience! Panasonic, Amazon, and Bingo Box have created a much more convenient shopping experience with their retail innovations. Panasonic has introduced a system, which is based on RFID. Instead of scanning the items in your trolley one-by-one, their RFID application processes the entire contents of your shopping bag in an instant. Given that many customers in Japan still prefer cash over electronic payment options, the developers of this system simply suggest that they do not intend to create a fully digital shopping experience, but just somewhat faster check-out process. 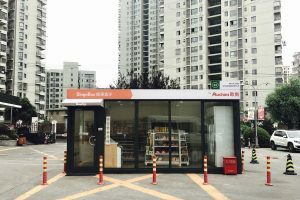 The tiny kiosks of Bingo Box at the heart of Shanghai look like high tech shipping containers made of steel and glass. The shopping process is almost fully automated. Just in case of something unexpected you may summon a human operator. Bingo Box has a selection of snacks and drinks. You first identify yourself with WeChat. Then you pick your items, scan their barcodes at the exit and pay using your WeChat wallet. Panasonic and Bing Box come with limitations. They do not allow selling goods that do not accept a chip or a barcode, such as random quantities of fruits and vegetables. While there is always an opportunity to weigh and package them beforehand it would result in higher workload and upset environment, which wins by reducing packaging footprint. The good news is that the humankind finally has a more viable technology for fruits and veggies. This technology borrows from self-driving autonomous cars and artificial intelligence. It combines various sensors, smart cameras, and machine learning. Amazon Go Shop in Seattle is an early example of this concept. Upon entering you need to identify yourself with an app, which tracks your movement. Sensors are connected with the goods. Cameras follow every item and every shopper. The information is linked to the shopping cart that the shopper activated entering the store. Every item that you grab from the shelf is automatically added to your shopping cart. Weighing happens in real time using the sensors installed the shelves. In case you decide to return an item to the shelf, it will also automatically disappear from your virtual cart. Using your app you can check the cost and value of your shopping cart any time. Once you exit the Amazon Go shop, your app confirms your purchase and deducts the sum of your shopping cart from your credit card. Like 1-Click shopping experience, which allows you to buy online without any hassle, also Amazon Go just works seamlessly. Next in Line Revolutionising Retail? A few weeks ago Walmart announced in their press release that they will abandon in 100 shops the cashiers. This is part of their Next Generation Store movement with the introduction of several new technologies. The first is integrated pickup – drive-through to pick up preordered groceries that have been ordered using various SmartLife tools – such as Google Home, Nest, or Apple TV. Some of these smart technologies can enable automatic weekly ordering or need-based ordering in case the stocks for washing powder run out. This innovation related to of huge pickup towers that enable the customers to pick up their goods automatically. 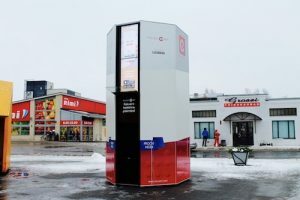 The towers are manufactured in Estonia by a clever company Cleveron, which first placed the package pickup places next to retail shops. These looked like giant futuristic elevators going nowhere. Now Walmart suggests that those pickup towers are being introduced in 200 next shops to streamline the pickup process. The second innovation is an active introduction of Scan&Go technology where people scan their purchases themselves, reducing the need for cashiers. The third innovation is of shelf-scanning robots that automatically move along the aisles to identify missing or misplaced items, verify prices and fix any errors they find. In a similar manner, Kroger has suggested that during 2018 they will roll out extensive Scan, Bag, Go system in 400 shops where customers take up some of the cashiers’ work. They claim in their press release that this will not lead to the completely automated shopping experience and drastic cuts in headcount. They suggest that the cashiers will no longer work on routine tasks, but will become shopping assistants. When a couple of years ago the first shops introduced self-service counters there were many skeptics. Some were concerned about the comfort of the customers who had to have three or more hands to carry their shopping cart, the scanning device, the shopping list, their mobile phone and their children. We are concerned about shoplifters or people stealing expensive veggies doing carrot-swiping instead. Despite these difficulties, the self-service options have become our new reality. So let us conclude with a couple of bold forecasts. As the retail sector becomes more intelligent, it is likely that in just a few years we no longer see check out lines nor service employees in our shops anymore. 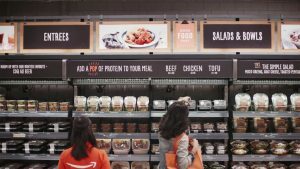 experience is fully automated like at Amazon Go. We are going to witness gradual phasing out of service clerks. With empathic service robots like Pepper becoming gradually smarter via machine learning we no longer need human interaction at shops. Many clients might even prefer not to enter the shop at all. Various last mile logistics delivery solutions will be delivering the goods to customers. So the business model revolution in logistics is going to have an impact on retail for sure. What are your predictions / please write your comments below? 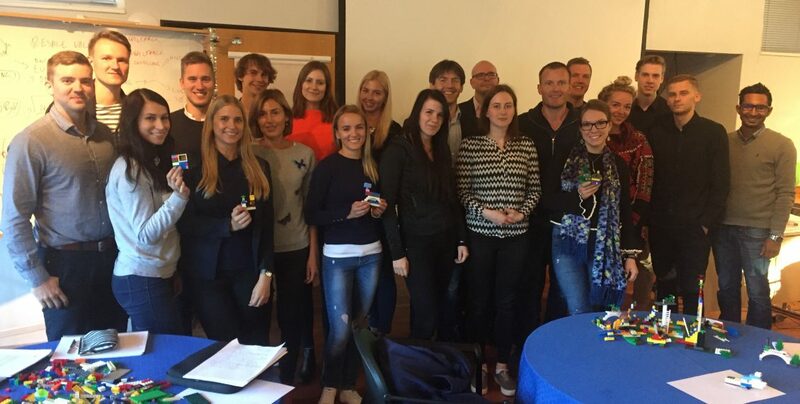 Last weekend we gathered in Roosta Holiday Village for a strategic management bootcamp with Estonian Business School master students. We combined strategy studies with Lego Serious Play. See below the gallery and videos of the strategy discussions that the teams compiled. 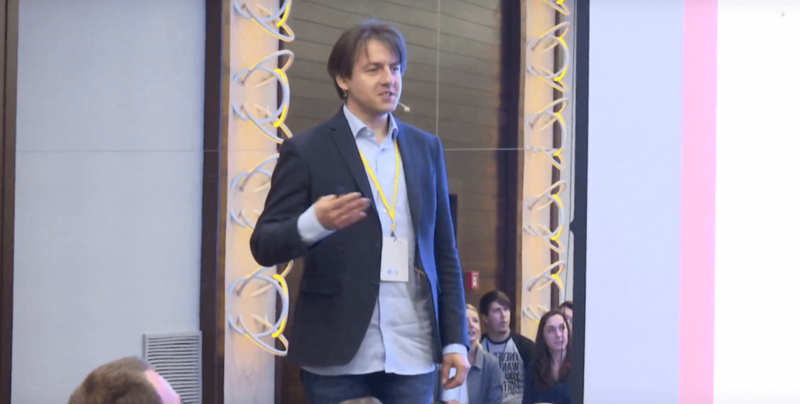 Marko Rillo facilitating Innovation Summit with LEGO SERIOUS PLAY at Bucharest Technology Week. 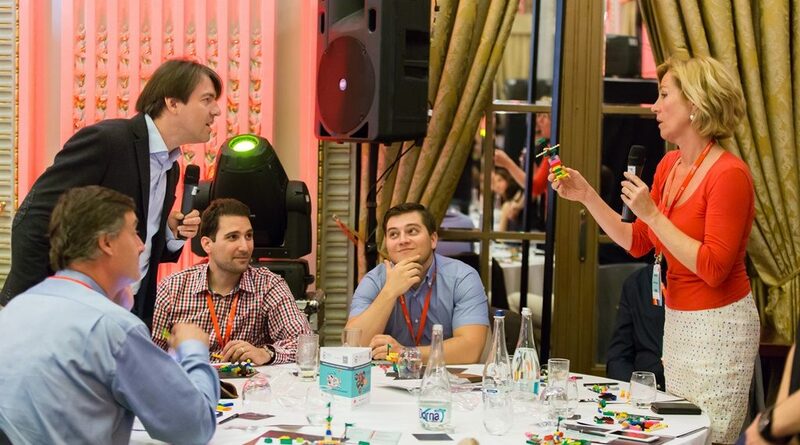 This LEGO SERIOUS PLAY session took place on 24 May 2016 at Sheraton Bucharest with more than 120 participants who were divided into 21 tables. All the tables were tasked with a number of different LEGO SERIOUS PLAY exercises that were used to increase their creativity and generate innovative business ideas.